If you’re locked out of your home or vehicle or you want to upgrade your home’s security, Noble Locksmith is here to help. Give us a call today for fast, friendly assistance. Choosing a locksmith that has the proper certification, training, and tools is essential for receiving the service you deserve. La Jolla is home to numerous amateur locksmiths whose only training comes from a few internet videos. Not only are these scam artists ill-equipped to open today’s advanced locking mechanisms, but they often leave locks damaged beyond repair and the owner footing the bill for a replacement. It’s also important to choose a locksmith that is local. An out-of-town locksmith will take longer to reach your destination and they often lack familiarity with the area, leaving you locked out of your home or vehicle for much longer than necessary. 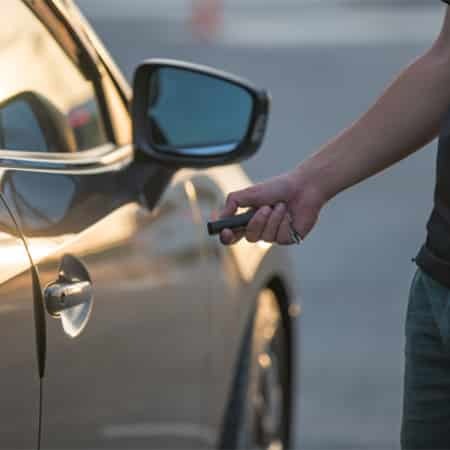 At Noble Locksmith, we are a 24 hour mobile local locksmith service that will meet you right where you are in record time, day or night, and provide you with high quality service. Our locksmiths have undergone extensive and ongoing training, and we are certified, insured, and registered. Looking for a service that you don’t see here? Contact one of our experts to discuss your problem, and we’ll figure out a solution that is right for you. Moving into a New Home? Moving into a new home is exciting, but before you get settled, it’s important to ensure that your household and belongings are safe. It’s impossible to know how many keys for your home are in circulation or whether they’ve fallen into the wrong hands. Our locksmiths can meet you right at your new home and rekey or replace your home’s locks, ensuring that only the members of your household can gain access to your home. We sell, install, service, repair, and rekey the top brands in home security, including Schlage, Kwikset, and Master Lock, and we’ll help you choose the best lock for your home. When you hire us, you can be confident that your locks will be installed quickly and securely. If you need fast help in a lockout or you would like to learn about the latest in residential or commercial security technology, contact Noble Locksmith. Our friendly, professional locksmiths are ready to take on your challenge, no matter how big or small it is, and we’re dedicated to providing outstanding service and quality. We provide fast, reliable, mobile residential, commercial, and automotive locksmith service throughout San Diego, CA, including El Cajon, National City, Miramar, and Imperial Beach. License No: LCO6939.